Proper drainage solutions are essential to keeping water away from your property. 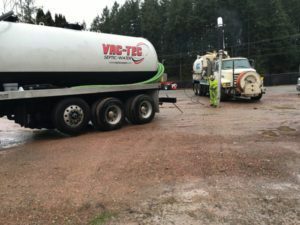 For commercial and residential drainage solutions in Elk Plain, WA, call the pros at Vac-Tec LLC. 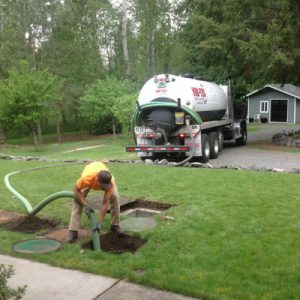 We provide the most reliable drainage solutions in Elk Plain and its surrounding areas. Our drainage solutions are customized to suit the unique needs and challenges of your property. When you choose us for drainage solutions, you can expect a fast response from professionals who truly care about quality. 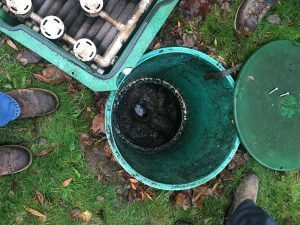 We understand how unpleasant drainage issue can be and the potential for damage to your property. If you are experiencing problems with poorly pitched downspouts, give us a call. We provide a fast and affordable solution that can have your downspouts working properly once again. We can help you improve the function and integrity of your downspouts with a downspout drain. We design and install a downspout drain that reduces clogging and efficiently channels rain water. With a downspout drain, property owners in Elk Plain can rest easy knowing that their downspouts are moving water away from their foundation, preventing basement leaks and other potential problems. A wet basement or soggy yard can be very annoying for a property owner. If your residential or commercial property suffers from poor groundwater drainage, consider a curtain drain installation. A curtain drain is an excellent way to prevent water from pooling and then damaging a basement or yard. A curtain drain diverts water around a property. It relies on gravity to remove excess water from problematic areas. When a curtain drain is installed, a horizontal trench is dug along the course that the runoff water follows to channel it into a designated area. Let our professionals install a curtain drain in your Elk Plain home or business. For any further information on our curtain and downspout drain installations for Elk Plain homes and businesses, please call Vac-Tec LLC at (253) 777-4887 today. We look forward to working with you!